The flick would be easy to understand for the people aware about current affairs. The film is based on various recent events whether its Dardi mob killing or meat in the temple. Director had tried to cover parts from every incident into a single film. Efforts of directors Pranav and Jitendra Tiwari in Shorgul film can never be ignored as they had highlighted a ‘taboo for Hollywood’ topic. There was not much creation and fiction invoked in the movie. The film is sum up of various events and happenings of the past whether its political or apolitical. Some incidents highlighted in the talkie are purely fictional. During the runtime of the movie, it appears to be an inspired story from various films. Muslim and Hindu love story inspired from Ishaqzaade and the backbone from various Telugu and Tamil films. Sometimes the fable turns out to be indigestible ones. It’s a rule if you are going to stick to the fiction stick with it. While trying to annex the facts and imagination, the story turns out to be weird at times. There are various good things about the film. One of the best things observed was narration. 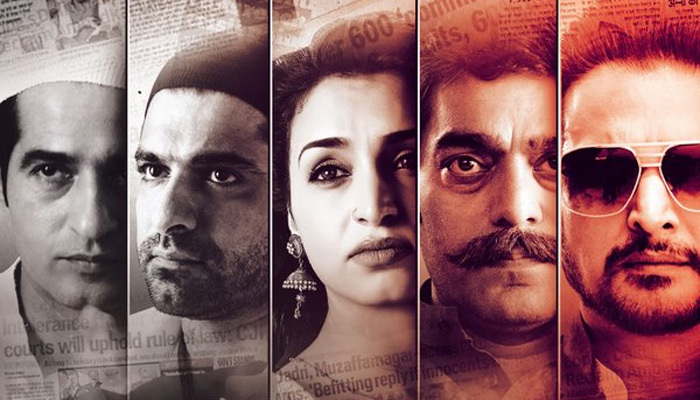 Shorgul movie successful delivers the message to stop increasing intolerance in our minds. Over Reactiveness to the political comments had infected the minds of society. On another side, there could be an improvement with the casts giving them more suitable roles. Prakash Jha could be a better option here. Jimmy Shergill had performed his role very well being the star cast. Ashutosh Rana and Sanjay Suri was impressive as always when it comes to controversial films. The movie really misses the feminine part, only 20% of scenes involves a girl who is not a good thing for a film like this. Many scenes of the film were shot in Lucknow. UP had recently taken efforts to improve film shooting in the city. UP govt had also recently declared many movies tax-free. A PIL filed by Vishwa Hindu Parishad (VHP) leader Milan Som against the film which was dismissed by the Allahabad High Court bench in Lucknow. A fatwa was also issued by Khamman Peer Baba Committee against Jimmy Shergill and the makers. Fatwa and PIL indicate the same thing which was seen in the trailer of Shorgul movie. According to some reports, the flick is banned in Muzaffarnagar. Although it could be released with not much controversy in other areas. Makers of the film are expected to focus on other important things too, most importantly displaying the history of the events happening around there. They had even missed revealing the basics of the issue to a person who wasn’t aware of anything. Aside from the central story of the film, there were not much efforts in first part to show love than hatred. One can easily get bored of such movies. With almost no plot in the entire story, it’s virtually impossible to give cent percent attention to the flick. It always seems like an incomplete story. As a conclusion we should accept that film has raised a good topic with braveness. But the reason is not good enough to waste a weekend on it. We give Shorgul 2/5 stars. Stay tuned for latest Bollywood news and Celebs’ updates.